It’s been rumored for some time now that Tomodachi Collection, a life simulation game for the 3DS, could be making its way into western territories. Those rumors now have a bit more support after Nintendo of Europe started passing around an online survey regarding interest in the game. 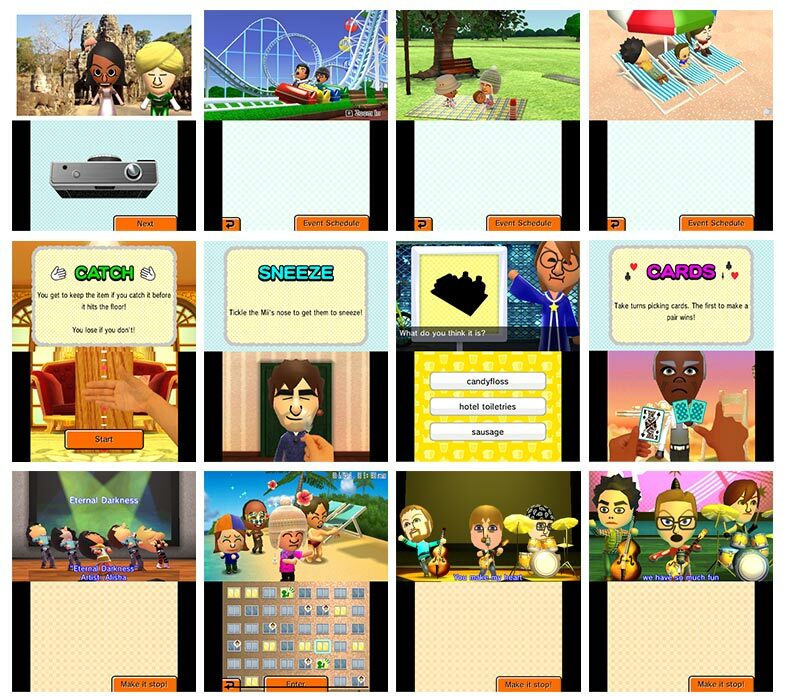 The survey included English language screenshots, pictured above. Welcome to “Tomodachi Collection” for Nintendo 3DS — a living world in your pocket, made of people you know! “Tomodachi Collection” is unlike any videogame you have ever played, where you decide who should be part o your game. Will it be your best friends? Your parents? Your crush? Or maybe your favourite actor? You get to choose who lives in this vibrant community! Create a Mii character or each person you want in the game. Pick a voice and personality, and watch your Mii character come to life. Sometimes they will act astonishingly close to real life, yet other times they will behave in completely unexpected ways. Regardless, you’ll find it hard not to laugh! Take care of your Mii characters and understand their needs. You will receive many different rewards that you can spend on customising your community even further. And, as the game progresses, unique relationships will form — your Mii characters could fight over the most trivial things, become best pals, or even fall in love! … your mum dancing to a techno song? … your secret crush asking you out on a date? … your favourite star becoming best friends with you? Almost anything is possible in “Tomodachi Collection” — a vibrant world full of friends that fits in your pocket.